These reasons will make you want to do a Gap Year in New Zealand right now. More and more we are hearing that New Zealand makes a damn right awesome destination for a gap year. Why all the fuss?! Well, we’ll give you an idea in this list of damn good reasons to take a gap year in New Zealand. Why travel all the way to the bottom of the South Pacific to a country that is barely larger than the UK? Your gap year is your one chance to spread your wings before becoming a boring adult, you want to make sure it’s the right decision for you. It’s likely that you don’t have a massive budget, plus you want to have rich experiences that you’ll want to remember for the rest of your life. What’s more, can you find a job in New Zealand? We’re sure the answer to all your questions and more about a gap year in New Zealand will be answered below. If not, then you might want to look at 30 Tips for Backpacking in New Zealand. 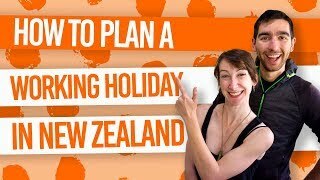 Travelling on a budget in New Zealand is made easy thanks to the amount of backpacker hostels and camp grounds there are all over the country. It’s easy to find cheap accommodation. What’s more, there are budget-friendly travel options from buses to buying your own car (which you can sell back at the end of your trip). It’s likely that you’re thinking about New Zealand because of the great outdoors, which is also ideal for those of us on a budget for our gap year in New Zealand thanks to all the hiking trails to wonderful natural features and landscapes. The aspects mixed with our tips in 11 Ways to Save Money and Stretch Those Dollars Further makes a gap year in New Zealand extremely affordable. Another great reason to take a gap year in New Zealand is the working holiday visa! This is your ticket to live, work and travel in New Zealand, opening the doors to an awesome well-rounded gap year experience. See what it’s like to work abroad and be self-sufficient while also having the opportunity to explore a new country. Most working holiday visas allow you to stay in the country for an entire year, so you can really make your “gap year” last a whole year if you want to. Get started with What is a Working Holiday Visa? New Zealand is home to some unique and fascinating wildlife. There’s no better country to learn about nature and what we share this world with. There are many conservation programs in place to not only keep New Zealand beautiful but to protect it’s wonderful wildlife. You can have some amazing wildlife encounters like whale watching and swimming with dolphins year-round. Find out more about New Zealand’s wildlife in 20 Animals and Birds Unique to New Zealand. When it comes to landscapes, New Zealand has some of the best natural landscapes left in the world. What’s more, the variety of landscapes will blow your mind. One moment you could be hiking on a glacier on the snowy Southern Alps, then next you could be in the midst of rainforests, and then on a pristine golden-sand beach. Taking a bad photo is next to impossible in New Zealand. For some landscape-loving, check out 21 Mind Blowing Lakes in New Zealand or 22 Stunning Beaches in New Zealand. Whatever your experience – even if you have none – there is work to be found in New Zealand. Finding work in another country is an amazing accomplishment that you can add to your CV/resume as well as other points that we mention in How to Use a Gap Year as Valuable Experience on Your CV / Resume. Plus, you can try your hand at a variety of jobs, like what we list in 15 Excellent Backpacker Jobs. For something more laidback but great for the budget, try WWOOFing otherwise known as work for accommodation. New Zealand is renowned for it’s friendly locals, but you’ll find there is a great variety of cultures to be discovered in New Zealand. Most famously is the Maori culture, which are known for their powerful dances and chants like the haka. They also make a mean cultural dinner called a “hangi”. There is also the Kiwi culture in New Zealand which is the European and American flare on the country that they have made their own. They describe it as “Kiwiana“. On top of all that, you’ll also find the cities are packed with people from all over the world who still live by their customs. You never know, this might lead to more travel around the world! New Zealand is the adrenaline capital of the world! You can do everything here from bungy jumping to skydiving. There are epic adrenaline activities in the water like jet boating along rivers, white water rafting in the rapids and scuba diving with sting ray. Lose your breathe in canyon swinging or take it easy with wine-tasting. Hike over an active volcano or in the ice caves of glaciers. And the list goes on and on. It’s impossible to get bored here. Unlike other gap year countries, New Zealand doesn’t have any animals that can kill you, nor do you need injections to come here. Crime is that low that hitchhiking is legal (and very common practice) and you don’t feel like you need to lock up your bags in the hostel at night. If anything, the weather might kill you if you’re not prepared, but there are easy ways to avoid that in Outdoor Safety When Hiking in New Zealand. If you’re reading this, chances are you speak English. New Zealand’s official languages are English, te reo Maori and New Zealand sign language. This means there will be no stressful language barriers and communication will be easy. 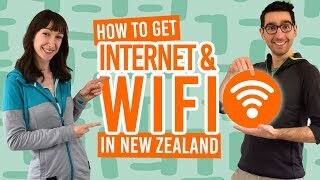 For those of you who want to improve your English, then New Zealand is the perfect place to do it, as they are used to international visitors. You can improve your English through WWOOFing and Studying English in New Zealand. It’s not very often that you have the opportunity to come all the way down to the South Pacific. New Zealand is just a three-hour flight away from paradises like Fiji, the Cook Islands, Samoa, Vanuatu and of course Australia! See where your next adventure is at 10 Countries Easy to Visit from New Zealand.